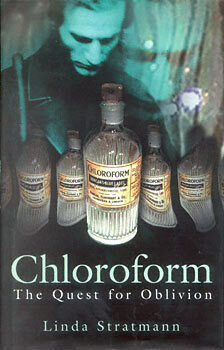 "Dr Snow gave that blessed chloroform and the effect was soothing, quieting and delightful beyond measure." "I contend that we violate the boundaries of a most noble profession when, in our capacity as medical men, we urge or seduce our fellow creatures for the sake of avoiding pain alone--pain unconnected with danger--to pass into a state of existence the secrets of which we know so little at present..."
"[Chloroform is]...a decoy of Satan, apparently offering to bless woman; but, in the end it will harden society and rob God of the deep earnest cries, which arise in time of trouble for help." Linda Stratmann trained as a chemist's dispenser with Boots before completing a degree in Psychology at Newcastle University. She was a civil servant for many years before becoming a full-time writer.